Marjorie has enjoyed being part of the Strauss Festival Board of Directors for a number of years. She is honored to serve as the Board Chairman and to be able to work with many dedicated volunteers who make the Strauss Festival a superb, unique to, Elk Grove event. 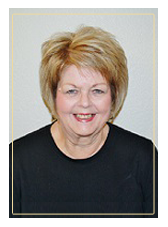 As an elementary school principal and teacher in the Elk Grove Unified School District for 28 years, Marjorie enjoys being able to participate in community organizations such as the Strauss Festival in retirement. 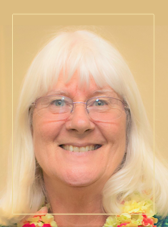 Marjorie also enjoys assisting weekly her in grandchildren’s classroom and is currently the District Chairman of Inner Wheel District 519 in the Sacramento area. She also enjoys traveling, cooking and reading. Marjorie and her husband of 48 years, Paul, a retired Elk Grove CPA, have lived in the Wilton area for the past 22 years. They have two sons and daughters-in-law as well as four grandchildren. Being part of this free professional theatrical production in Elk Grove makes Marjorie extremely proud. The Strauss Festival could not happen each year without the many outstanding dedicated volunteers and loyal monetary sponsors. Please join us the last weekend of July at Strauss Island in Elk Grove Regional Park for the Strauss Festival of Elk Grove’s production of sensational dancing, gorgeous costumes and beautiful music with a splendid fireworks finale!! Beth Hedlund has lived in Elk Grove with her husband Mark since 1981, with their children Erik and Krista both products of the Elk Grove Unified School District. 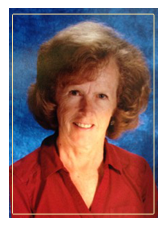 Beth recently retired from a 30 year career of teaching, primarily in the intermediate grades at EGUSD. She was a charter faculty member at Beitzel Elementary. Beth and Mark have been long-time supporters of the Strauss Festival, enjoying its beauty for most of the production’s 27 years. In fact Mark has been part of the show since the 1990’s, serving as the Master of Ceremonies. Beth and Mark strongly believe in thy unique cultural value that the Strauss Festival brings to Elk Grove and to all of Northern California, and Beth is honored for the opportunity to help keep this iconic event alive as a member of the Strauss Board. Carol moved to Elk Grove in 1986. Born and raised in South Sacramento (Colonial Heights), she was able to enjoy many trips to Elk Grove Park during her younger years. Elk Grove Park was often her family’s all-day picnic destination. Carol’s family has been involved with the Strauss Festival since 1988. Her husband, Ray, is an institution of the Festival, having served as board member, dancer each and every year since 1988, Producer of several Festivals, stage decorator, costume designer and builder, and fund raiser extraordinaire. Carol’s daughter, Raelynn, has danced in the Festival since junior high school and has produced the past several Festivals. Her husband, Jason Springer, manages the boat activities. All three of their children have danced in multiple Festivals. Carol retired after 20 years the welding and medical industries as a Director of Administration. 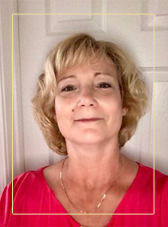 Recognizing her talents were off the dance floor (she’ll tell you she has two left feet), Carol has graciously offered her time and talents on the Strauss Festival board. Carol also serves as a volunteer at Methodist Hospital and manages the back office at her husband’s Elk Grove store, Old Town Creations. 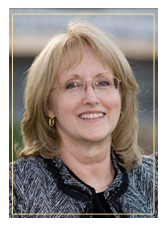 Donna Palmer is a certified public accountant with TPBS, LLP, a Sacramento area CPA firm. Her focus is primarily in the area of tax planning and preparation, working closely with many of the firm’s clients, including closely held businesses, nonprofit organizations, and individuals. 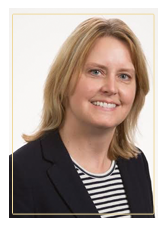 Donna received a Bachelor of Science degree in Accounting graduating with highest honors from National University in Sacramento and recently received a Master of Science degree in Taxation from Golden Gate University. She is a member of the American Institute of Certified Public Accountants and the California Society of Certified Public Accountants. Donna has over 20 years’ experience working with nonprofit organizations and an even longer history of a love for the arts including small roles in local community theatre and musical productions as a child, exploration of piano and painting as a teen, and an interest in classical music and theatre as an adult. She became a member of the Board of Directors and Chief Financial Officer in 2007. Rebecca Davis retired from the Elk Grove Unified School District after 42 years of service as an elementary school administrator and teacher. Becky opened Roy Herburger Elementary School in 2004 and during her tenure worked with community, stakeholders, parents, and staff (certificated and classified) to support ongoing involvement of community involvement with the site. 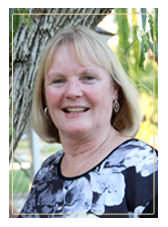 Becky has also held interim positions throughout EGUSD and the SCOE (Sacramento County Office of Education) administrative program. Becky and her husband Chuck, a retired Florin Firefighter/Engineer, have been married for 43 years and have lived in the Pleasant Grove area of Elk Grove for over 25 years. Becky also serves on the Elk Grove Rotary board of directors and the Elk Grove Regional Scholarship Foundation board serving as scholarship chairperson. She joined the Strauss Festival board in 2015. Jim is an Elk Grove native. He graduated from Elk Grove High School in 1960, attended Montana State University for one year, became home sick, fell in love, came back to Elk Grove and married. He then attended Sacramento City College and Sacramento State College. Jim worked for his father during college at the family’s Entrican Grocery. He then went into sales, where he made lifelong friends and associates along the way. After 44 years in the industry, he retired in 2008. Jim married Annaclare Saner, also an Elk Grove native and classmate from Elk Grove High. Together they have four children and five grandchildren. They reside in the Del Webb Community. 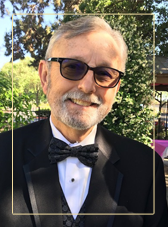 Jim has always been active in the Elk Grove and surrounding community, with involvement in Independent Order of Odd Fellows, First Covenant Church, Camden Community Associations, and Community Emergency Response Team. He has organized class reunions for Elk Grove High for more than 15 years, with a database of more than 1500 alumni. A proud participant in the Elk Grove Historical Society, Jim is proud of the work he has done to preserve Elk Grove’s heritage. Jim has been involved with the Strauss Festival since 2010, when he and his wife visited Vienna, Austria and fell in love with all things Strauss. He is proud to say he attended the very first Festival production at Strauss Island. For Raelynn, the Strauss Festival has been a major cornerstone in her family going back to 1988 when her father (Ray Bayles) became a dancer. Since then, three generations have been part of the festival in various capacities. Raelynn dances in the annual production and is also the Producer. During her spare time, she enjoys reading, sewing and spending time with friends and family.  Raelynn works for Frontier Communications where she has been employed for the past 17 years. 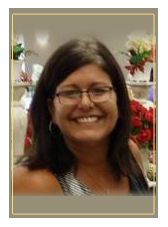 Kristen moved to Elk Grove in 1975 and grew up loving her small town and its community events. Her first experience with the Strauss Festival was in 1988 serving as the babysitter for the dancers children during their practices. A few years later as a teen she joined the polka troupe and fell in love with Strauss. Kristen took a 20 year break from the Strauss Festival to raise her family and came back to Strauss as a dancer in 2014. She now has two sons who are part of the show. 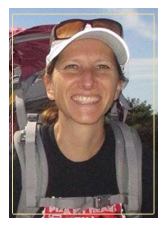 Kristen keeps busy with her family, husband Todd and their four sons. She likes to hike, backpack, take motorcycle rides with her husband, travel, and absolutely loves dancing for the Strauss Festival and her Strauss family. Michelle Orrock currently serves as a lobbyist for Molina Healthcare, advocating for health care policy in the State Capitol. Michelle served as an elected board member of the Cosumnes Community Services District from 2008 - 2016, most recently serving as President of the Board in 2016. She also serves on the board of the American Leadership Forum, Mountain Valley Chapter, and is active with the Elk Grove Historical Society and part of the Arts Advocacy Project Advisory Council. Michelle earned a Bachelor of Arts degree in communications from The Master’s University in Santa Clarita, California.  She is active with several business groups in the Sacramento area including the Sacramento Metro Chamber and the Elk Grove Chamber of Commerce. She and her husband Chris live in East Elk Grove with their youngest son Ben and a very spoiled dog named Shania. Their oldest son Jacob serves in the US Marine Corps. Marielle Tsukamoto was born in Sacramento, CA during WWII. Marielle and her parents, Mary and Al Tsukamoto, were sent to a concentration camp in Jerome, Arkansas during the WWII. In 1945 after the war, they returned to the Florin-Elk Grove area to their farm that had been “saved” for them by family friend Bob Fletcher. Here they raised grapes and strawberries. Marielle attended Florin Grammar School graduating from Elk Grove High School in 1955. 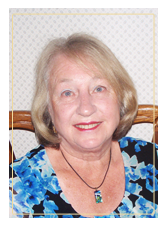 She attended the University of Pacific earning a degree in elementary education, graduating in 1959. 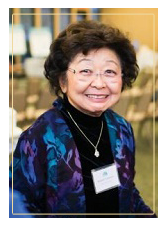 Her degree in education provided many opportunities for leadership in the Elk Grove School District; serving as a principal with her final position before retirement being the vice principal of Mary Tsukamoto Elementary, the school named after her mother. In retirement Marielle has enjoyed sharing her life experiences with several local organizations. She has served as the program director for the World of Difference, been a docent for the Time of Remembrance at the California Museum of History a program started by her mother Mary in 1983. Marielle also has served as president of the Florin JACL and enjoyed world travel. She now proudly serves as a director for the Strauss Festival of Elk Grove. Kellie is a California native who first moved to the quaint town of Elk Grove in 1983. While attending CSU Sacramento, Kellie had the opportunity to study abroad in Germany and to witness many festivals similar to the one which inspired the Strauss Festival of Elk Grove. She attended her first Strauss Festival before it was held on the island. Later that decade, Kellie received her J.D. Degree from the University of the Pacific, McGeorge School of Law and headed to the Bay Area to pursue her legal career. She met her husband, Roger, through a partner in the law firm and there was an instant connection. Fast forward to 2002 when they returned to Elk Grove to raise their growing family in this exceptional city. Kellie, her husband, and their three children have been involved in community theater in the greater Sacramento area for more than a decade, as well as many church and school activities which have involved acting and/or music. Kellie currently homeschools their daughter and is active in the local homeschool community. The entire Spieler family has been involved with the Strauss Festival since 2014 in various capacities. Although their sons are currently attending the University of Chicago, their daughter will be dancing in the Festival again this year. Kellie is excited to serve on the Board and to assist in keeping this unique blend of pageantry and orchestral music in Elk Grove. There is something magical that occurs under the stars on Strauss Island every July and it is her sincere hope that your family will not miss it. Vicky Moore is a recently retired Elk Grove Unified teacher. Vicky taught first grade for 35 years. She has been involved with the Strauss fundraising events since 1999. Vicky heads up the food servers for each event. She uses these events to keep track of her past students as she asks them to come and be servers. Vicky has also done a little sewing for the Strauss dancers in the past few years. Vicky and her husband Tom have been married for 38 years. They have two children. Judy is married to Stephen and they live in Sacramento. They have blessed Vicky and Tom with two fabulous grandkids. Andy lives in Salt Lake City, Utah. He works for Verizon there. Vicky has directed a choir and been the stage manager for the Drama Club as part of her teaching career. Becoming a part of the Strauss team of volunteers just seemed like a natural place to land! Ken Miller returned to Elk Grove with Rosemarie (40 years married in September) in February 2016. They lived in Laguna for nearly seven years from 1989 to 1995, leaving for a State Fire Chief assignment with the California Department of Forestry and Fire Protection (CDF, now CAL FIRE) in San Diego. Mr. Miller retired as the Chief of the San Diego/Imperial CDF Unit in July 2003 with 32 years of service with CDF. 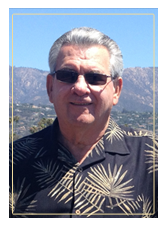 Following his short retirement of 1.5 months, he accepted a job with the County of San Diego Planning Department, as a Fire Code Specialist. Three months later in October, two disastrous fires struck San Diego destroying 5,000 buildings including 2,500 residences. Mr. Miller helped coordinate damage assessment for the fires, supervising 100 plus personnel. A few months later, he was tasked to develop a County Fire Organization concept, as none existed within the County, with another former fire chief. The concept generated the San Diego County Fire Authority that has its Tenth Year Anniversary in October. Mr. Miller retired in 2013 after 10 years of service with the County, as one of two Fire Services Coordinators, overseeing contract fire protection agreements, fire station planning/building and apparatus/equipment purchases. Mr. Miller and Rosemarie have three adult children and 5 grandchildren. Their daughter lives in Elk Grove, one son lives in Carson City, Nevada and our youngest son lives in Sylvan Grove Kansas. Mr. Miller has a great interest in U.S. and California History, the Elk Grove Historical Society continues to kindle. He currently is finishing his second year as President of the Historical Society. Together, he and Rosemarie remain very active in various activities sponsored by the Historical Society. He is also a member of the Native Sons of the Golden. Some ancillary leadership positions he held were: The elected Office of Emergency Services Fire and Rescue Coordinator; Director Burn Institute-San Diego/Imperial Co. President, VP, Secretary SD County Fire Chiefs Association & Fire Districts Association Facilitator for Border Agency Fire Council 10 Years (International Partnership w/Mexico) National Fire Protection Association Technical Committee Member 16 years Grant Coordinator San Diego County Dead, Dying Diseased Tree Removal $60 million+ Assistant Girl Scout Leader for daughter’s troop with Leader Rosemarie (true).